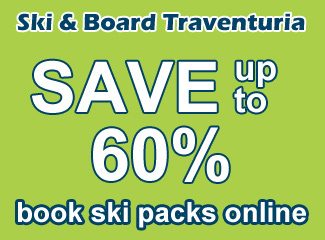 It’s the middle of summer, but we at Ski & Board Traventuria are already getting ready for the next winter season. Our early bird offer comes again as every other season for all our repeating customers, fans and followers. We are happy to share that we are now in possession of a Fully automated service system for skis (Robot). This is the only operational ski robot in Bulgaria and with a capacity of repairing 80 pairs of skis/hour. It is the most powerful machine ever installed in Eastern Europe! This means that our ski equipment will always be in top condition and with improved qualities on the slopes. Early Bird Offer: What’s new for you as a customer? *11% DISCOUNT FOR OUR REVIEWERS ON TRIP ADVISOR (valid also for Facebook and Google reviews) for all PREMIUM packages. * CAMPAIGN CODE: TRIPA19 requires a review of our services online. We will not honor the discount in case you can not point a traceable review from you. Important: If you choose to only pay the deposit until the aforementioned expiration dates, no discount can be applied to the rest of the amount due! * Ski and snowboard packages of ALL DURATIONS BETWEEN 2 AND 13 DAYS, covering a wide array of tuition and equipment options. * Snowboard packages for children, starting at the age of 5. Ski packages for children starting at the age of 2! 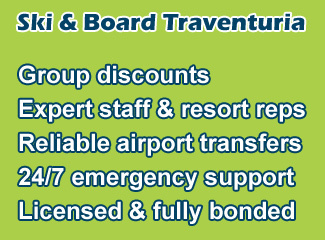 On behalf of SkiBansko.bg and Traventuria Ltd. we would like to thank you for using our services previously. 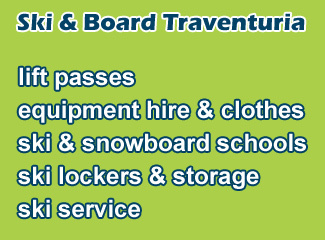 Ski & Board Traventuria is the first ski shop in Bansko to have received a “Certificate of Excellence” by TripAdvisor! 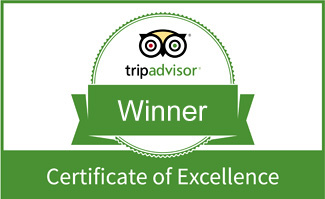 We have been honored by TripAdvisor every year, ever since we first opened for business! We look forward to seeing again on the slopes of Bansko.